Every marketer looks forward to improve their ranking through Search Engine Optimization (SEO). Since time is bringing the new whole set of changes in the way businesses market their product through surfing the web and lot more. However, the obvious things that work continuously the best are the trends that prove to be an effective means of strategies. In US alone, an average of 12 billion website searches is conducted every month. SEO is gaining its importance more than anything else as it helps to boost your brand and lend your business the credibility, get visibility, drive quality traffic needed to succeed. What is the use to create so much of graphics and content when its audience can’t even see it while running their search query. Decades ago, marketers realized that SEO can be aligned with content for customers and this requires mobile optimization to bring good results. 50% of all mobile searches are conducted to find local results whereas 61% of search results in purchasing. Keyword research is the key means to understand your site’s SEO and the competitors. However, you don’t have to be an expert to act this wise algorithm knowing which keyword to use. There are certain free tools like SEM Rush which can help you researching the potential and current keywords related to products and services. While there is a free limit to keyword searches per day, you can find SEM Rush quite useful for your searching option and will benefit you as monthly income for targeted keywords. It depends on the rating of the competition for phrases and you can view a list of such keywords for getting many content ideas. In addition to this, Sem Rush applies with features domain input mechanism which you can work by entering site’s domain and any of your competitors. There you can type your keyword and research organic keywords getting a side comparison of these sites by position, keyword on search engine pages. Afterwards, you can drive the content strategy and inbound marketing to get ahead of other branding columns. With the rise in increased demand for mobile usage, the audience continues to change their place. With people using all sorts of devices like phone, laptop, smartphones, tablets to browse the web, keeping this in mind many brands are going mobile friendly. Even more, brands are yet to be anticipated going through this same accord of trending techniques. With the announcement of mobile-first index to come, mobile optimization is sure to become the norms to adapt rather than an exception. Now, as per the survey, the total number of searches over the mobile device is seen to by increasing 43% over years. Even Google algorithm updates this year a mobile-friendly web that gives search ranking to boost mobile searches. Newtarget.com suggest that global mobile traffic has accounted to be over 15% of all internet traffic. Content aggregation is a practical way of displaying, sharing, presenting, consolidating, and amassing, collating, finding content around the pre-specified set of criteria in order to appeal targeted audience. Nowadays more people are looking for courses that render all relevant information for a specific subject topic or subject that at one place. If you’re planning to go for content aggregation, make sure that you collect accurate content from high authority, different courses and display them at one single point for users to see and build your authority. In the upcoming days, the local SEO is likely to gain solid grounds. Being a marketer there is a high tendency that Google should know what you are offering in order for your pages to show up and that too for the relevant audience. Therefore having local pages that include the name of your business, address, contact address, etc will bring high traffic. Again local SEO has gained significant prominence with the coming of the “Pigeon” update which forces the marketers and business to focus on a local tangent. So, ensure having local personalized content and keywords to stay ahead in market scenario. In this modernistic time, contents from social media like Facebook, Google+, Pinterest, Linkedin, Twitter will continue to grow more importance over the SERPs. Nearly more than 70% marketers use social media to support and boost SEO. Now marketer will do anything to make their tweets or Facebook post get high ranking on the SERPs. There is also an increased demand for automation by which SEO experts make their lives easier. They frequently schedule post priorly to continue to be on the follower’s radar thereby keeping up with engagement. Videos are a good way to keep the audience entertained and engaged. It is seen that by using enough videos the ranking of your page on the SERPs can be improved. As per the surveys, videos make 62% of all Google searches universally. So, marketers can grab this opportunity and choose to drive the modern marketing engine to fuel video SEO. It is important that Google must find your videos and index it to display when keyword and entered over search tools. Whether your social media focus on on-page SEO or inbound marketing strategy, and SEO analytics platform will keep track of marketing plan’s current outcomes and performances. The Google analytics tools break down features into categories such as Acquisition and Behaviour which help understand the location of your traffic, your popular pages and the amount of traffic you’re receiving. 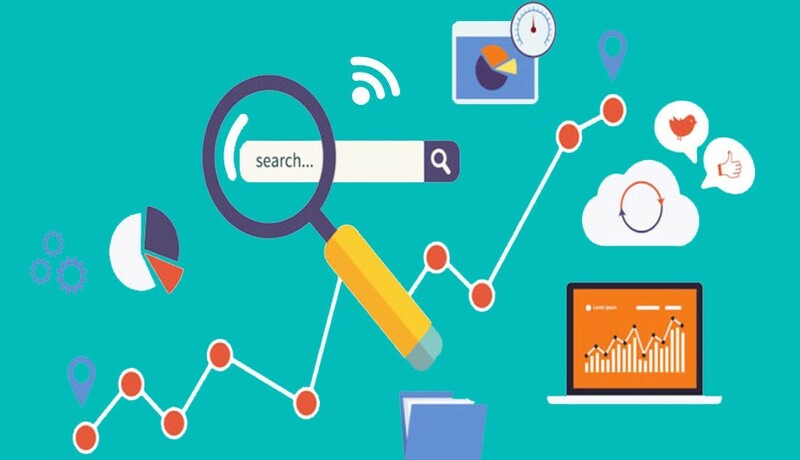 By exploring all the features of SEO platform analytics you can monitor key traffic in traffic visits and know about the most pages which draw trafficking. You can also concentrate on the highest revenue and traffic driving pages by refining your inbound marketing strategy.